We are in Cincinnati for a couple of days helping our daughter, CD, with some wedding stuff (she's getting married in May). We have become well acquainted with Natti over the years because both our daughters have lived here at various times. In fact, they ran their first marathon, The Flying Pig, here several years ago. 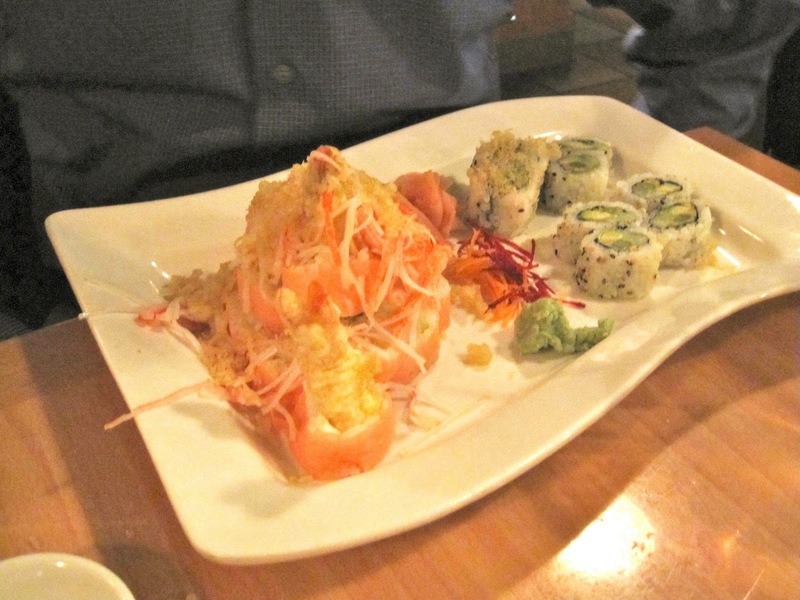 But I digress - the reason for this blog is to tell about my favorite Thai/ sushi restaurant, The Green Papaya. You would think my favorite sushi restaurant would be in Seattle where we lived for several years . . . no . 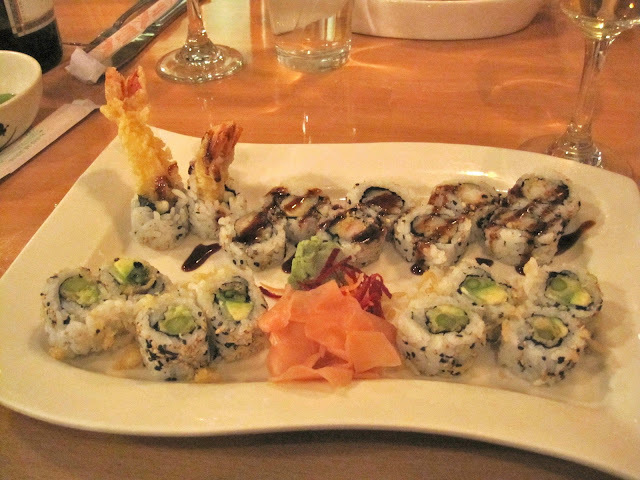 . . we go to Ohio for good sushi!! I thinks it speaks to the quality of The Green Papaya that it is in a tiny strip mall with very little parking and has thrived for years. If you are ever in the area of Oakley/Hyde Park, make sure you visit this little jewel!! Um, where is the veggie tempera? I miss Green Papaya, and you too of course! We did have veggie tempura and it was delicious as usual, but I didn't think to take a picture before we scarfed it down! !